The result is a higher total cost of ownership and slower return on investment for not much added value. And maybe the best benefit of all… Microsoft Office 2013 Outlook Client Software is included with a 50GB Mailbox Size per user! Let’s see an Exchange Server supporting 20 users do that! The end result of moving your email to the cloud is a low ongoing monthly expense with no upfront capital expenditure, plus all the benefits and flexibility to meet your business communications needs. Did you know that Windows XP is going end-of-life? This means that Microsoft Outlook 2013 will not run on Windows XP. That could mean no email for you! According to Kapersky Labs, more than 33 percent of malware attacks cost businesses their hard-earned money. That amounts to billions of dollars in lost business revenue, downtime and repair costs that are attributed to malware infections every year. of data, data collection and transmission, or nuisance and interruption. Recently, the CryptoLocker Virus, a type of ransomware, has been in the news. This virus installs itself on your computer and encrypts your files so you can’t access them without the proper key. Then, a payment screen pops up, asking you to pay a ransom of $300 for the ‘key’ to decrypt your files! 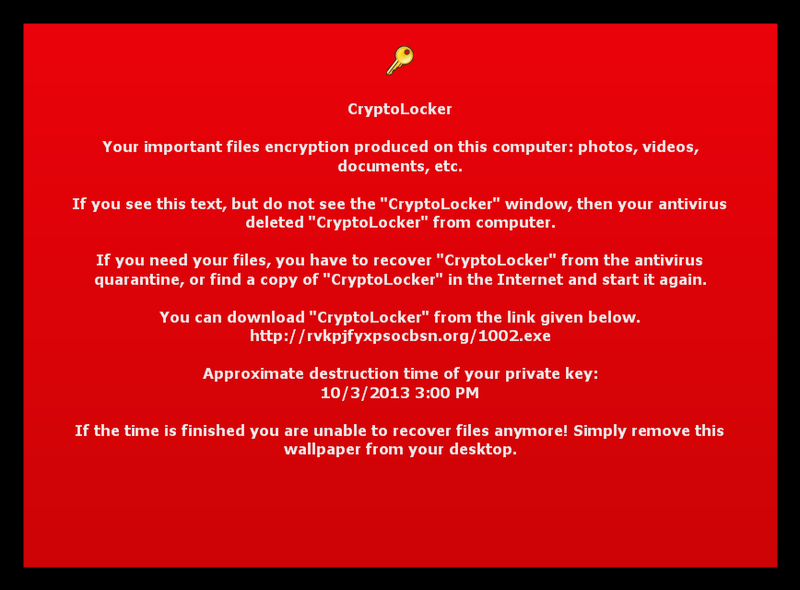 For more information about the CryptoLocker Virus, go to http://bit.ly/18at7Gg. Don’t underestimate the importance of backing up your important data. Install a firewall, if you don’t already use one, as the first line of defense against inbound attacks. Make sure you are using good antivirus software that is constantly updated. Keep your operating system (e.g. Windows) updated with current security updates and patches. Did you know XP is going “End of Life”? Use a more secure web browser (Windows Explorer is the most exploited). Use caution when downloading files from the internet- especially browser add-ons and screensavers. Don’t open email attachments or click links unless you know what they are. Is your organization prepared for Windows XP end-of-life? An analysis by International Data Corporation revealed that supporting older Windows XP installations, compared with a modern Windows 7–based solution, burdens organizations with a dramatically higher cost. Annual cost per PC per year for Windows XP is $870, while a comparable Windows 7 installation costs $168 per PC per year. That is an incremental $701 per PC per year for IT and end-user labor costs. Think about this… On April 8, 2014, Microsoft will release the last batch of XP patches and explanations of what they fix. A few days after that, virus writers will have deconstructed these patches and discovered the underlying security holes. Then, they release their viruses, ransomware, adware, etc. The next day, thousands of computers may be infected by the malware, and even if it is removed and all normal precautions are taken, this virus will infect the computers again and again while the Windows XP PC is being used to access the internet. Organizations that continue to retain a Windows XP environment are not only leaving themselves exposed to security risks and support challenges, but also are wasting budget dollars that would be better used in modernizing their IT investments. If your organization is bound by regulatory compliance policies, like HIPAA or GLBA, the end of life for XP is of particular concern. Keeping XP systems in production that are no longer receiving security updates leaves you at risk for failed audits and susceptible to fines due to non-compliance. Many options exist for businesses considering moving to newer PC operating systems. To understand the best options for your organization, you need a Microsoft Partner who will assess your business needs. BizTech will come to your place of business, assess your PC Network, and you will receive a customized Assessment Report — complete with your organization’s needs and best options to keep your business running smoothly. Call BizTech at 800.804.4715 to discuss or schedule your assessment. Have you heard of the CryptoLocker Virus yet? If not, be sure to read on! The CryptoLocker Virus is a form of 'ransomware;' which is a type of malware which restricts access to the Microsoft Windows-running computer that it infects, and demands a ransom paid to the creator of the malware in order for the restriction to be removed. In the case of the CryptoLocker Virus, it doesn't just restrict access to the computer system. Once downloaded, this ransomware installs itself in your 'Documents and Settings' folder. It then scans the hard drive for different file types- including .doc, .xls, .ppt, .pst, .dwg, .rtf, .dbf, .psd .jpg, .raw, and .pdf- and then encrypts them (makes it so you cannot access them without the proper key). After encrypting your files, it displays a CryptoLocker payment screen that tells you to send a ransom of usually $300 in order to decrypt the files. This screen will also display a timer stating that you have around 100 hours to pay the ransom or it will delete your key and you will not have any way to get your files back! This ransom must be paid using MoneyPak vouchers or Bitcoins. Once you send the payment and it is verified, the program will decrypt the files that it encrypted. How can my computer can get infected by CryptoLocker? 1) Via an email attachment- usually looks like an email from a respected company like BBB or FedEx, UPS. For example, you receive a tracking email from a shipping company you do business with. Attached to the email is a .zip file. Opening the attachment launches a virus that finds and encrypts all files you have access to — including those located on any attached drives or mapped network drives. 3) You’re tricked into downloading a malicious video driver or codec file. What should I do when I discover my computer is infected with CryptoLocker? 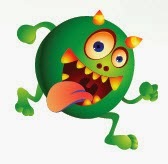 When you discover that your computer is infected with CryptoLocker, the first thing you should do is disconnect it from your wireless or wired network. This will prevent it from further encrypting any files. Some people have reported that once the network connection is disconnected, it will display the CryptoLocker screen. How do I remove the virus from my computer?Your antivirus software may remove the virus, however, your files will still be encrypted. Recent versions of CryptoLocker will now set your Windows wallpaper to a message that contains a link to a decryption tool that you can download in case this happens. In some cases, people have resorted to paying the ransom to retrieve their files. Some did receive the key and regained access to their files, but this is a very risky option. Your best bet is to recover your system from a previous system backup. How can I prevent the CryptoLocker Virus from infecting my computer?1)If you get any emails with suspicious attachments, DO NOT open the attachments or click any links in the email messages. 2)Steer clear of any suspicious websites. Especially ones that may ask you to download a Java update. 3)Make sure you keep complete and recent backups of your system. If you have a small business with networked PCs, you should have automated workstation backups enabled, in addition to server backups. 4)Implement Windows’ Software Restriction Policies rule. This can block CryptoLocker from launching its payload in your computer system. If you need help implementing, contact a BizTech Solution Advisor at 419.539.6922 or via email for more information about this method.We know your files are important and, very likely, essential to your business. Don't hesitate to call or email us for more information about this virus and how to prevent this, and other disasters from affecting your data. If your business has changed since you started using VISUAL, if you need to improve your business processes or if you think you may be under-utilizing the sofware’s functionality, then it is time for a VISUAL Assessment. Our experienced Consulting Team will evaluate your business requirements, analyze your VISUAL system and provide recommendations on how to improve your company’s utilization of VISUAL. The VISUAL assessment typically requires 3 business days at your facility. The focus can be on any or all areas of Infor VISUAL; Manufacturing, Financials, CRM, etc. Departmental Documentation – Prior to the onsite analysis, we would like the department managers to prepare a list of current VISUAL issues and departmental needs. This information will need to be available at the start of the analysis but we would prefer to review it in advance of our visit. Management Meeting – A meeting will be scheduled at the beginning of the analysis to get an overview of the VISUAL issues, roadblocks and needs of management. This will give us the opportunity to make sure that we understand the needs and direction of the management team. Plant Tour – A plant tour is necessary for us to get a look at your manufacturing processes and the flow of the operations. We need to understand your business processes and how it relates to VISUAL. The plant tour will follow the management meeting. Departmental Interviews – In order for us to get an understanding of how each department is currently using VISUAL, we need to meet with the individuals who regularly use the system. Meetings should be scheduled individually with each department, including but not limited to Accounting, Sales and Customer Service, Purchasing, Engineering, Information Technology, Quality and Operations. Computer Systems – We will do an analysis of the computer network, client computers and servers. Our goal is to analyze systems resources and configurations. Specifically to determine if the VISUAL application is configured for optimal performance. Go to http://www.gobiztech.com/VisualAssessment.aspx for more details. Please join us at the next meeting of the Minnesota VISUAL Manufacturing User Group. Our very own Jim Stickler has a Barcode presentation. -Print Server what is it? What does it do? 2013 marks the 20th Anniversary of the VISUAL product. View Infor VISUAL's 20th Anniversary Video, where you will see Infor executives review the history (and future) of Infor VISUAL, which was built from the ground-up to be a visually-oriented product, currently has over 2,400 manufacturing and distribution customers that span the globe, and plans for ongoing investment with a focus on micro-verticals and high quality user experience. Over the years, I have seen many organizations struggle with the idea of purchasing new business software. Confusion sets in as organizations debate internally as to whether they should upgrade a legacy system, buy a new ERP system, or let the islands of information rule their business for a few more years. Many times, the reluctance to make a change is likely due to a number of factors- such as affordability, budget, resources, other projects or higher priorities. Though, one thing is for certain, when a company chooses to wait- they are likely postponing the inevitable. Accounting takes too long and is complicated. Often, the first noticeable signs that your company needs a change in software will come from your accounting department. If your accounting team relies on Excel Spreadsheets, paper-based invoices, sales orders and purchase orders—or spend hours every week manually entering the same information into multiple systems—you need to consider how much time is being wasted on tasks that an ERP software can streamline. The same goes for financial reporting. Your current software vendor no longer supports your product. This is a very common occurrence; I see it all the time. Software systems are constantly evolving, and new versions are coming out regularly. The software vendors cannot offer maintenance and support for all of the ‘dinosaurs’ in their line of products, so they move their product forward, and discontinue support on older versions. Your current software vendor is going out of business. If you’ve had your ERP system for many years, you may have some risk that your software vendor could go out of business, be acquired and the possibility exists that your system will no longer be supported. If that is already the case for your company, it is certainly time to change. Your software system will not support your company’s growth plan. Many of the older systems do not have the functionality or scalability that exist in today’s modern ERP systems. Your company may be growing naturally or by acquisition, creating a need for a system that supports the changes to your business. These requirements could include but are not limited to; multi-language, multi-site, multi-entity, centralized business functions, bar coded transactions, CRM or mobility. Your staff is working outside your primary software system. Watch out for this phenomenon, and don’t be surprised if you find you are already there. If your staff is performing tasks outside the primary system, such as double-data entry, cut and paste reports, or walking between plants or warehouses to record or deliver shop floor information, and you have islands of information, these are all signs that you need to make a change. These manual and redundant workarounds due to system limitations result in major inefficiencies, which are time-consuming and costing your company money. You have only a couple people who know your current system. In many companies, older legacy systems have been running operations for over 20 years. Whether it’s custom code, or just an old software package, there might be only one or two people in the company who know the inner-workings of the system. They become quite valuable to the organization, and therein lies the greatest risk. What if the knowledge-holder decides to leave? Think about this…what if tomorrow there was nobody to support your old, out-of-date information systems? If you are experiencing any of the above signs, and conclude YES, it’s time to make a change- make sure you do your research. There are many systems to choose from, and you want to find the best package that will help your organization to reach its business goals and allow your company to grow. Where: Cincinnati Sub-Zero (CSZ) Products, Inc.
Part IV: Your company needs an ERP system. Where do you start? After paring down your Top ERP Vendor list, make sure to get vendor references with full contact information. If the Vendor is reluctant to provide references, demand them. If they still hesitate, suspend activity with that vendor until they provide references. Many vendors try to control the reference calls, but you should make the calls at your discretion, on your timetable and without the participation of the vendor. Talking to references early in the process is very beneficial. It gives you the opportunity to have a better understanding of the software, but more importantly, it gives you perspective on what you can expect after you make your decision. You’ll likely hear positives and negatives about the software and the vendor- just remember, there are always three sides to every story. · Explain the top three to five goals you are looking to achieve. · Ask the reference what goals they had prior to implementing goals? Were these goals achieved? If not, why? · What are the greatest benefits the reference saw after the software was implemented? · Were there any surprises? · How was the vendor communication after the sale? · How was the implementation support? Was the cost and timeframe in line with what was discussed and quoted? · If the reference had to do it again, would the company choose the same ERP software, same vendor, and same implementation team? Now, to the final steps. You should never choose the solution on price alone. If you allow price to enter your decision-making process, it usually becomes the center of attention and all the work you have done to carefully evaluate the solutions is goes by the wayside. You have all the information you need and should make a decision based on which solution you feel would work best in your company. During this entire process, the focus has been on your business needs, and how the proposed solutions will address those needs. You have also observed how attentive the vendors are to your needs, and how well you feel they understand your business, along with how successfully you feel they will be in assisting you in your implementation. In addition, you have gathered information from other customers when you conducted your reference interviews, and you have discussed any troubling comments you heard with your vendors. You don’t need any other information, and it’s time to make a decision. When you have decided on the ERP software & vendor that you prefer, make sure to let them know that, your ERP selection committee prefers their solution, give them specifics on what they need to do to earn your business At this point, you and the vendor should be able to come up with a mutually beneficial agreement. If it meets your satisfaction, sign the agreements & get the implementation process started. Infor VISUAL... and beyond! kicks off tomorrow, August 20, 2013. The next 3 days are jam packed with informational break-out sessions, networking events, one-on-one consulting sessions, speakers from Infor, food, drinks & fun! Go to the conference webpage for more information. BizTech, an Infor VISUAL Channel Partner and provider of Information Technology solutions, is pleased to announce that Paul Dubuque, Director of Business Consulting at Infor Global Solutions, will be a featured presenter at BizTech’s 2013 Infor ERP VISUAL User Conference, Infor VISUAL… and beyond! Mr. Dubuqe will present several sessions during the conference. Paul Dubuque is the Director of Business Solution Consulting for Infor ERP VISUAL. Paul has over 26 years of manufacturing experience including Tool Design, Production Control and Information Technology. Paul has been working with the Infor VISUAL product for more than 17 years, and currently manages the Business Solution Consultants Team at Infor Global Solutions. Paul will present at the following sessions during the conference: Upgrade VISUAL: What, When and Why? and VISUAL Optional Modules, where attendees will learn more about enhancements available in VISUAL 7.0 & 7.1, and optional modules to extend their VISUAL investment, respectively. Infor VISUAL… and Beyond! Will take place August 20-22, 2013 at the Hilton Garden Inn Perrysburg/Toledo Conference Center in Perrysburg, Ohio. 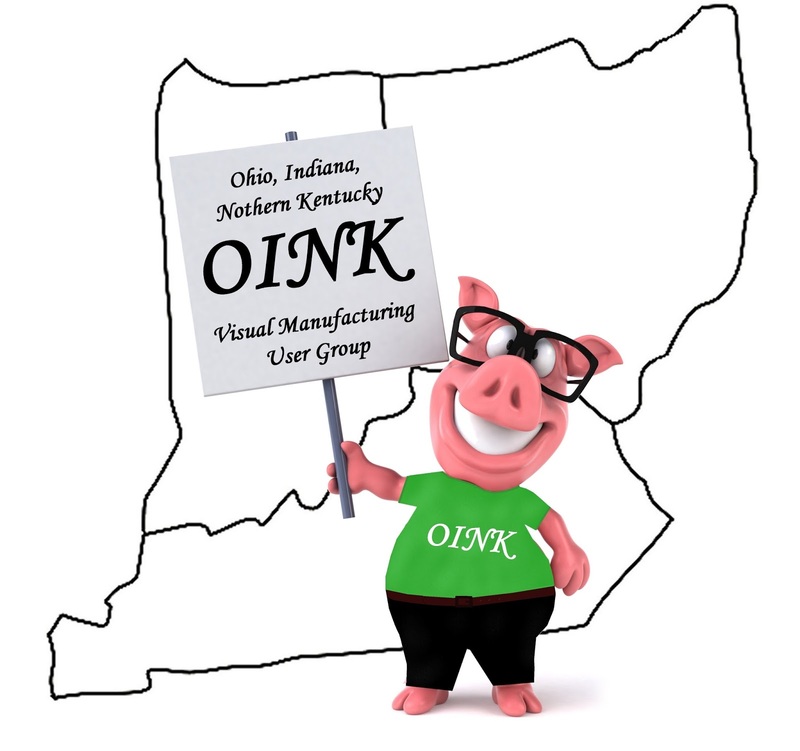 For less than the price of one day of consulting, Infor VISUAL users or potential users will be able to attend educational sessions covering a variety of VISUAL manufacturing, financial and technical topics. In addition, attendees will have the opportunity to network with fellow VISUAL users, the entire BizTech VISUAL Team and Infor Representatives. You’ll also be able to see a variety of technical solutions from BizTech partners in the VISUAL Solutions Center. Find out more at http://www.gobiztech.com/Events/2013-VISUAL-User-Conference.aspx.